The weekendmix with lots of beats. Trance Anarchy 016. We're going 140 in this set, so be prepared! A nice oldie from Lightforce - Join Me 2004 (Marcos Remix A). Amazing it's been 8 years ago since the release of this track. Time is flying (and maybe you too when hearing it). Broadcasted on Belgium radiostation C-Dance, Thursday, June 28, 2012. 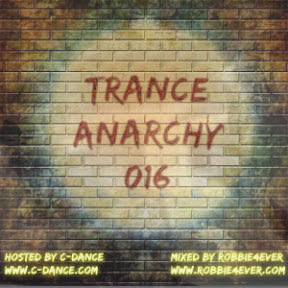 Trance Anarchy, every week in the night from Thursday to Friday, 02.00 CET on C-Dance.com.